ibodyWALK | "Take Your Walking to the Next Level"
ibodyWALK survey in The Villages, Florida that was not published in the Daily Sun as anticipated. The purpose of the survey is to take your request and hold classes at the Lifelong Learning College in The Villages. The Survey, I have been told will be in the paper this weeks or next. Would you please take notice each day as you read this great paper daily. When you find the survey, please share your thoughts, then call the phone number listed in the paper. The Residents in The Villages, Florida will be excited to see that we are planning on adding an ibodyWALK class for all residents and non residents sometime after February. The first step is for you to go to the newspaper – the Daily Sun and look in the College Corner which is in Section C – Local during the week of Dec 13 – 19, 2015. You may have to look at Monday’s paper and each day this week to find the ibodyWALK survey in that section, as they did not know which day of the paper it would be published. Let them know that you would like to see the class offered. You are not signing up, simply sharing that you would like to attend class in the future ;). This will determine whether I will be able to offer the first class. With over 600 residents that have gone through the basic pole walking instruction with my early classes, I anticipate unanimous consent :). You may also call directly the Lifelong Learning College at 352-753-3035. Description: Take your everyday walking to up to twice the calorie burning benefit by adding fitness poles and freehand or stretch-cord exercises. 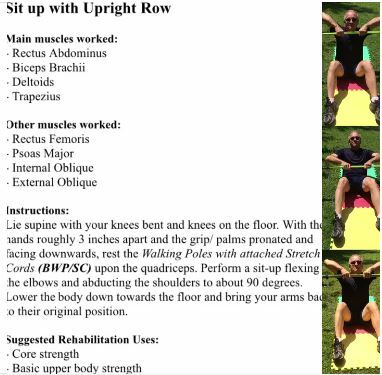 Whether you are health challenged, a fitness beginner, or athletic looking to add a fun and easy cross-training activity, this program is good for health (mobility, stability and rehabilitation), fitness (cardio endurance, strength, flexibility and weight loss), or sports (core, agility cross-training). 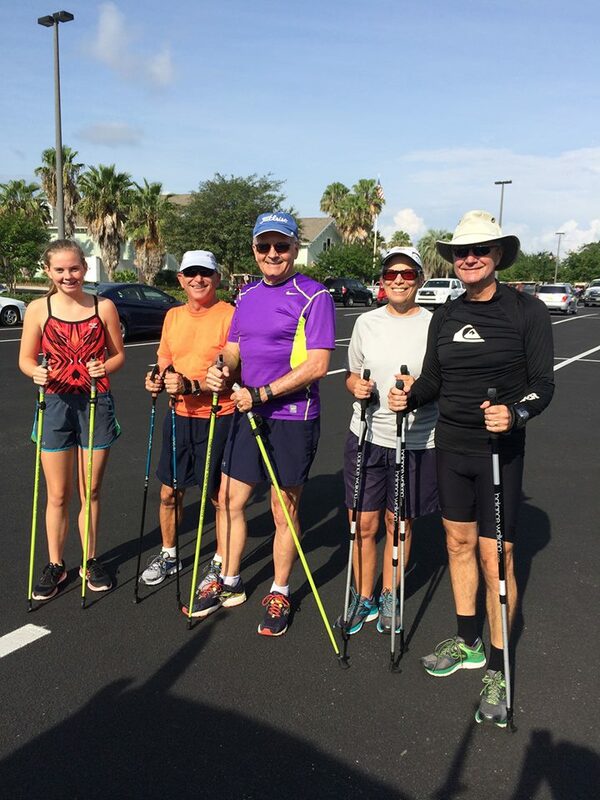 Took a small group of active pole walking residents in The Villages Florida early summer 2015 to test an event concept. 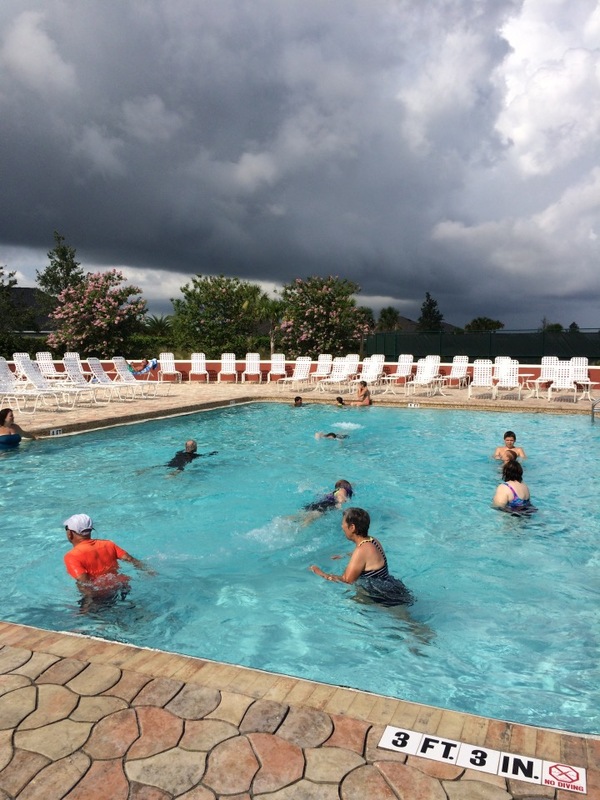 The event will lead to increases in daily pole walking and fitness aqua swim workouts. The great news is was a clear success. It was Fun, it challenged Fitness, and best of it brought Friends together. We pole walked 6 miles and transitioned run or swim laps in 3 different pools inter-spaced on the route. 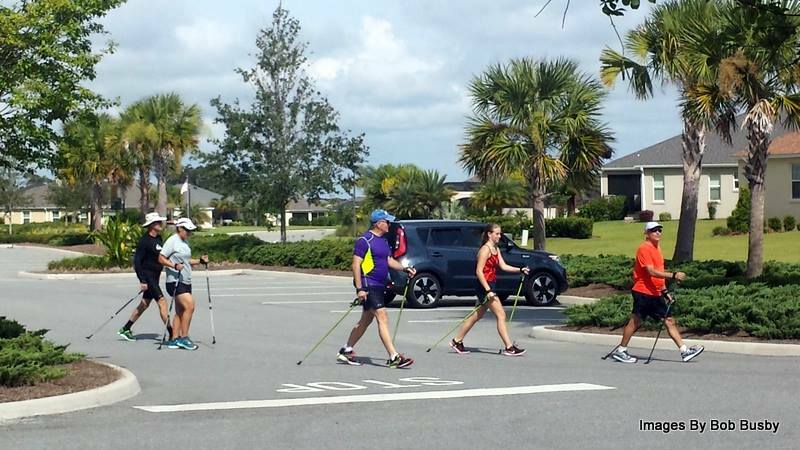 Initially the reason for this biathlon of sorts was to inspire other residents in The Villages to pole walk throughout the year, especially during to hotter temp. months. Walking for 15 – 30 minutes then cooling body temps by transitioning to a pool session for 15 – 30 minutes. With over 70 pools and 100s of miles of multi-modality trail systems in this 35sq mi retirement community makes for a great success story. Come and join the wave and movement in this Dive & Dash. Will consider Pole manufacture partnerships as we grow. 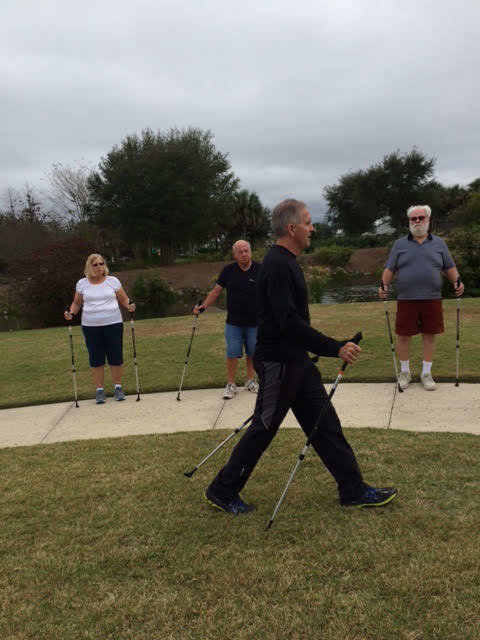 The Wacky Walkers is one of many in The Villages Florida taking advantage of all the benefits that come with using the Poles. 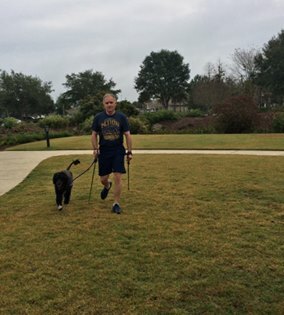 No matter what we call this NEw wAY To wALk, we would all agree that we want the benefits ( the biggy is near to double the calorie burn followed by a dozen more ) which is reason enough to add poles and strength cords to any ordinary walking routine. 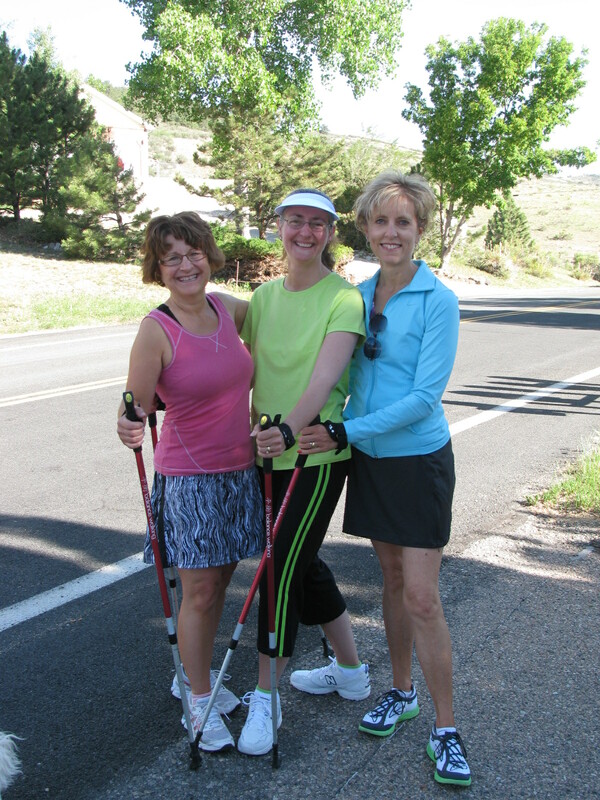 There are many types of walking poles that are specific to who, where and why you are wanting to use the poles. 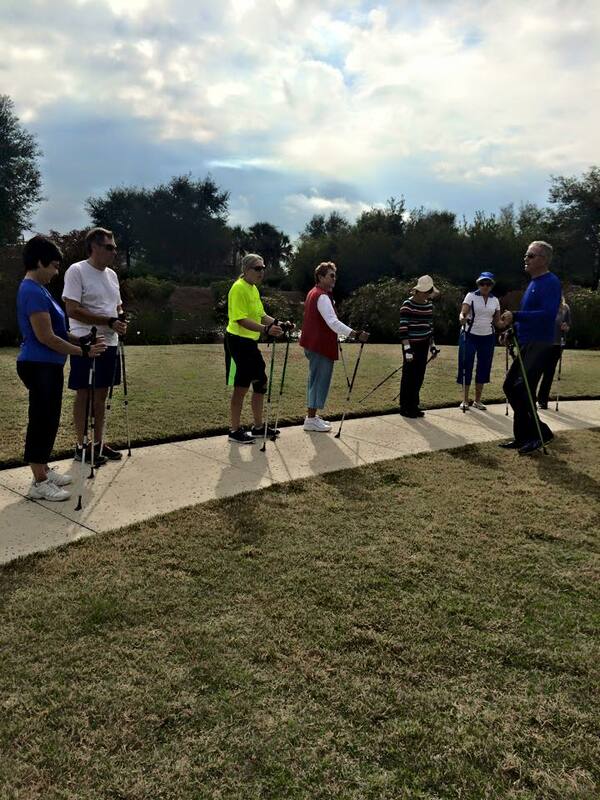 After leading 100s through basic Pole Walking instruction; then introducing the “Walking Neighbor Directory” in The Villages Florida, I was confident they were well on their way to developing another healthy habit in community, which increases their success. Some of these walking groups even come up with crazy names for their group; one of which is the Wacky Walkers. 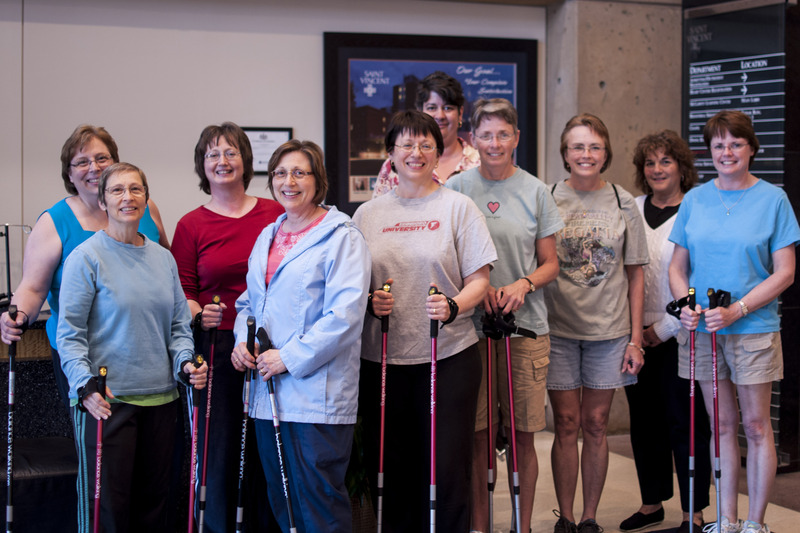 The Wacky Walkers is one of many groups that get together regularly and walk with or without poles. Having said that; it was great to read an article I received a few days ago in The Villages Daily Sun Nov. 26th (which by the way, happens to be the greatest retirement community on the planet). The timing of this article also coincides with my family visiting The Villages between Christmas and New Years… And yes I will meet with as many of the 600 who I have given instruction and poles to over last year. Even those that have never used poles and do not own poles – we have you covered. 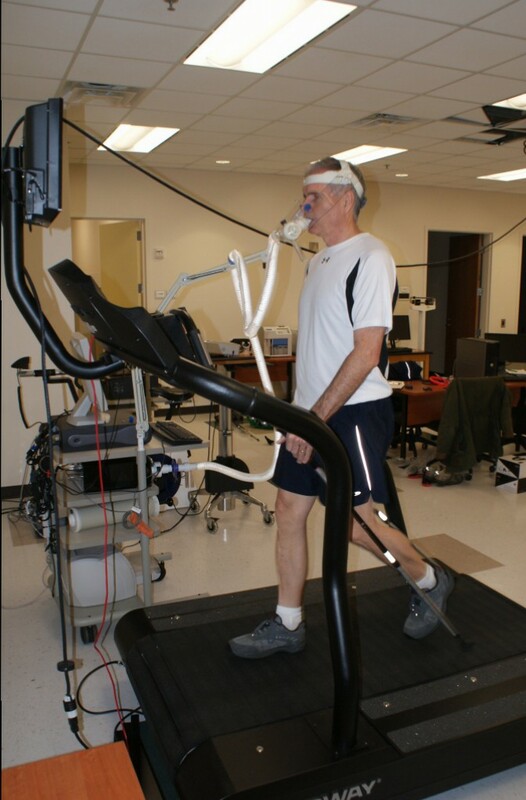 All you need to do is reach out to me for the Dec 28 – Jan 2 2015 daily walking sessions. Will need to reach to me via Facebook. 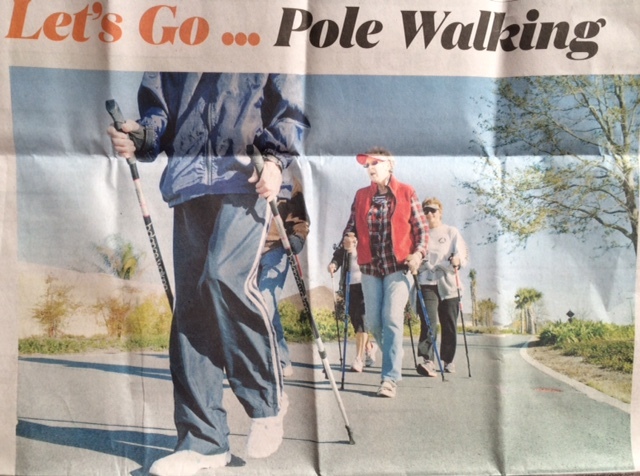 The photo at top labeled, ” Let’s Go… Pole Walking” is one of the many neighborhood groups… This one meets 3 times per week for 3 miles… They have named themselves the Wacky Walkers – being led by Shirley Halloran and Barb Miller… So come join me, Let’s Go . 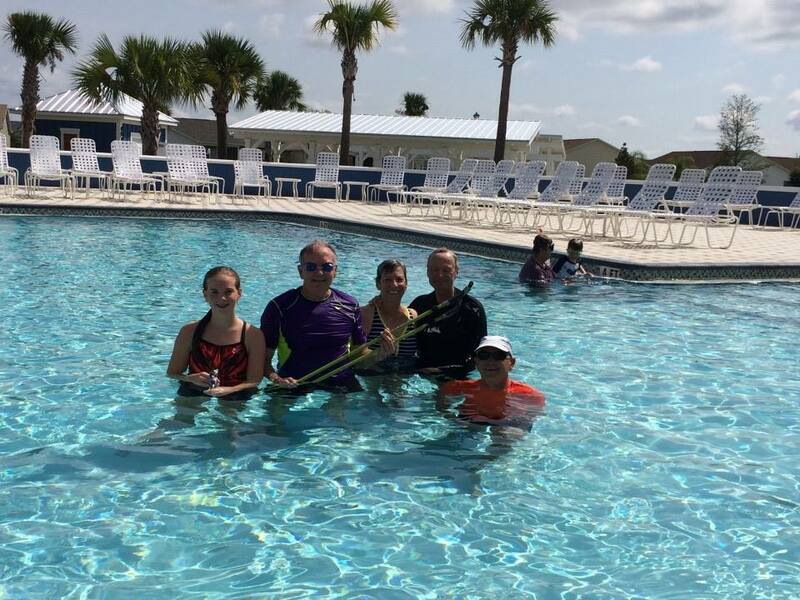 Send this website link announcement to anyone you may know in The Villages… Even 1st time Pole Walkers as I said earlier can use the loaner poles I will procure.